The new ReSound Unite Phone Clip+ gives you more freedom, comfort and control when on the phone. You’ll appreciate that all common functions only need a single click of a button, and the buttons are placed right where you’d expect them to be. Just clip the Phone Clip+ on your clothes and start talking on the phone effortlessly. 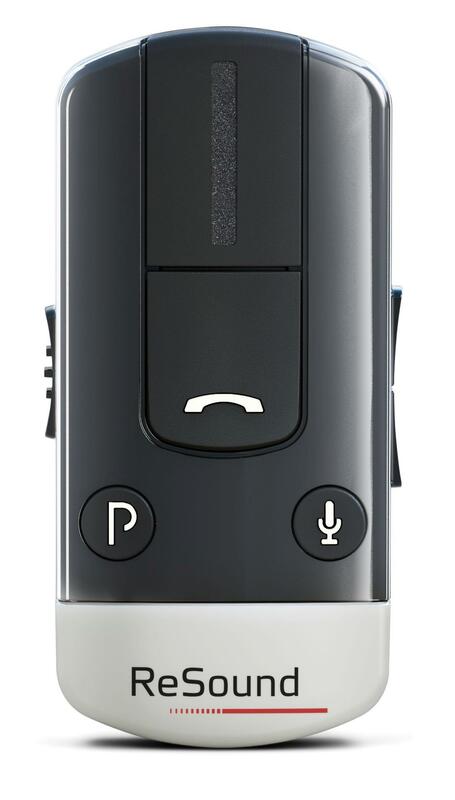 You can also use your Phone Clip+ to stream stereo quality music from your phone, or other Bluetooth®-enabled MP3 device directly to your hearing aids. You can stay connected to two Bluetooth devices at the same time – for example, home phone and work phone or a phone and music player. With the ReSound Control app and Phone Clip+, you can turn your iPhone® or Android™ smartphone into a cutting-edge remote control for your wireless hearing aids, phone conversations and streaming accessories. It lets you control volume and program settings using the phone you already carry with you. Item comes brand new and Boxed.